St John has dozens of beautiful beaches. Our ultimate beach guide lets you select the best beaches for your visit and itinerary. Discover what makes the north shore beaches the top destination for travelers visiting St John. Discover the secluded and off-the-beaten-path beaches of the island’s East End. Discover the rugged beauty and seclusion of the beaches along the South Shore. 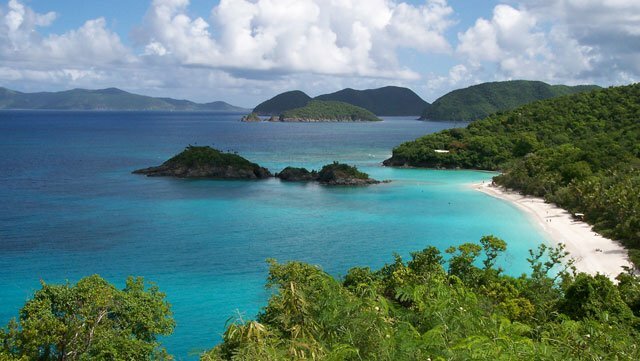 Trunk Bay Beach is recognized by Condé Nast Traveler as one of the TOP 10 beaches in the world! 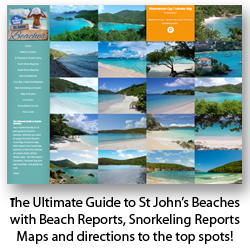 Enjoy a mobile-friendly guide to St Johns most beautiful, most popular, most secluded beaches! 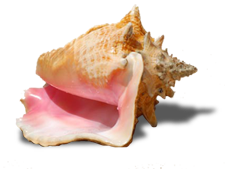 Out sister site provides a uniquely visual library of St John beaches along with just the information you’ll need to plan your beach days! There are pictures, directions, maps and first-hand reviews – including a guide to the best spots to snorkel on St John. We hope you’ll find it a great resource – both in planning your trip and while you’re on island. Enjoy!